Top Three Fuzzy Logic Rice Cookers From Japan & Korea or pressure cooking rice. Now, this type of rice cooker is significantly more expensive than many other models and brands. However, people who use them swear that it truly worth the extra investment. As such, with this list, we’re taking a look at the top fuzzy logic rice cookers from Korean and Japanese brands. This first model is one of the simplest examples of a fuzzy logic rice cooker that you will ever find. You can see this just from looking at the image, as the model just has four main options for cooking, along with the standard keep warm function. Most rice cookers that use fuzzy logic tend to be much more complicated than this, offering many different choices about what you are cooking and how you cook it. At the same time, it’s likely that this model doesn’t perform as well as many of the more complex models and some of the online reviews do support this idea. However, the simplicity of this model is also a pretty major advantage, as it means that the rice cooker is also inexpensive. In particular, this is one of the few cases where you can get a fuzzy logic rice cooker for less than seventy bucks. In most cases, rice cookers that use fuzzy logic tend to be upwards of a hundred dollars and they’re often even more expensive. So, while this rice cooker may not offer all of the advantages of its more expensive counterparts, it is still very good value for money. Zojirushi has a strong reputation for consistently producing high-quality rice cookers and this model is a good example of that reputation. In fact, this rice cooker is one of the most popular models from Zojirushi, with more than 1,000 reviews on Amazon, most of which are positive. 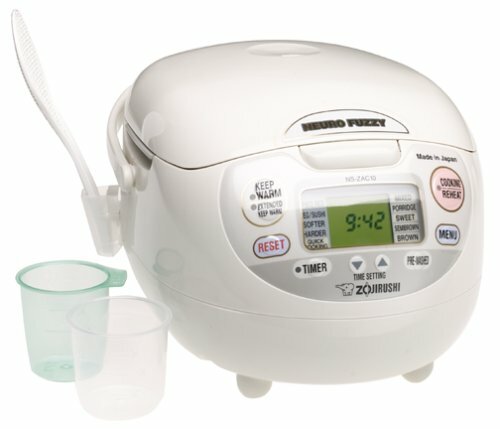 Compared to the rice cooker that I mentioned earlier, this one is also incredibly versatile. For one thing, it has many more functions, including settings for just about every type of rice that you can imagine, along with other more specialized options. In fact, you aren’t just limited to using the rice cooker for rice either. Instead, it is designed to be used for other types of food, as long as you have the right recipe. The model even has specific options for making porridge and even for baking cakes. Visually, this rice cooker is quite different than the previous Zojirushi model that we mentioned. In fact, this model is pretty unusual compared to most options in the Zojirushi range. Yet, it is also a popular choice and it actually has close to 1,300 reviews on Amazon. Compared to the previous model, this one also has fewer functions and most of the ones that it has are simply focused on the various types of rice. While the two models are different in terms of functions, the main thing that makes this model distinct is the use of neuro fuzzy logic. This term refers to a more advanced programming approach, which combines fuzzy logic with artificial neural networks. 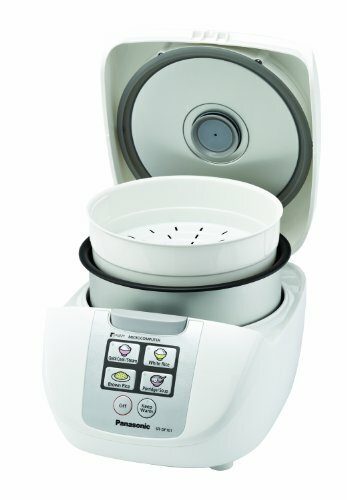 The idea is that doing so makes the rice cooker even more ‘intelligent’ and allows it to make better cooking decisions. As such, this rice cooker may have fewer options but it has more powerful programming. All of the models that we’ve considered in this list are good choices for fuzzy logic rice cookers. Out of these models, the one that we recommend most heavily is Zojirushi Micom Rice Cooker and Warmer. This model has the distinct advantage of having an extensive amount of functions, which is perfect if you want a device that is versatile. 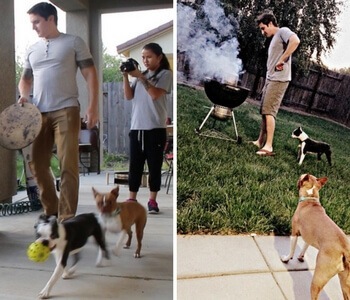 At the same time, this model is fairly intuitive to use and would be a good fit for most families. In contrast, the more expensive Zojirushi model may offer better programming but it does so at the cost of ease-of-use and functions. Realistically, many people would probably not even notice the difference in the quality of rice between the two models. 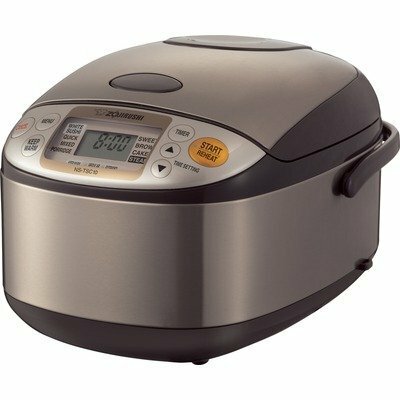 This makes the is Zojirushi Micom Rice Cooker and Warmer a better model for most situations. However, we do also want to highlight the Panasonic Fuzzy Logic Rice Cooker. This rice cooker is slightly lacking in functions, yet its price approaches that of a conventional rice cooker. Because of this, it could be a good choice for people who want the advantages of fuzzy logic but don’t want to pay a large amount of money to do so. Now, the rice from this model probably wouldn’t turn out as wonderful as the rice from the other two models that we’ve featured. Nevertheless, it’s still likely to be a better option than just a basic rice cooker.